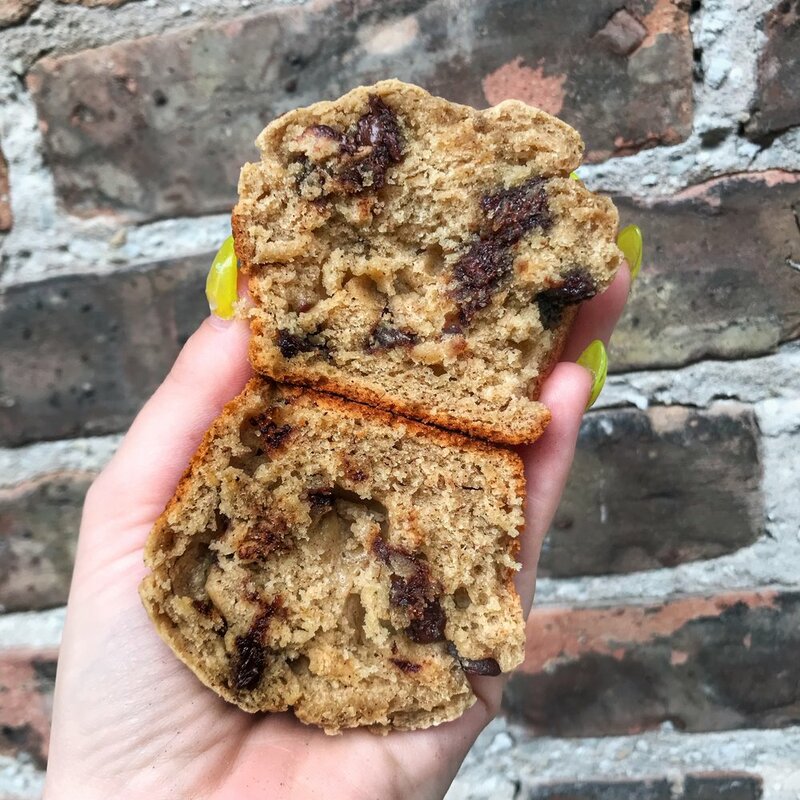 These dairy free muffins are some of the best I've made in awhile and will definitely become a regular thing at my house... Not only are they super soft and spongy, but also super filling and perfect to grab for breakfast on the go! Preheat oven to 350°. Line a muffin tin with 12 paper liners. Combine flour, baking powder and soda, salt, cinnamon, and nutmeg. In a separate bowl, whisk together mashed bananas, honey, vanilla, peanut butter, and milk. Add flour mixture to the banana mixture and stir together until just combined. Add chocolate chips. Using an ice cream scoop, or a spoon place batter into muffin tins. I prefer to use an ice cream scoop because then all of the muffins will be the same size.